I highly suspect the output level of the Ikeda 9TT is much larger than 0.2mV. This cartrige is quite unique. The sound is powerful and dynamic. Control of bass is excellent. Right out of the box, it is extremely impactful and fast. As far as the mid range is concerned, it has the rich tonality of Koetsu Jade Platinum but of course much faster than Koetsu across all frequency. The first impression renders me a feeling of listening to FM acoustics' electronics. It is quite a surprise, frankly speaking. It needs to open up more on the top end but tracking ability is some of the very excellent I have ever come cross. This is in line with my friends who are using it in New York. It will blow the hell out of your EMT JSD-6 Gold. To compare, the Ikeda 9TT seems to generate output of 1mv more than the EMT but in fact the spec says only 0.2mv. If the spec of Ikeda is correct, then the spec on EMT must be wrong. Or the extreme low coil impedance of the Ikeda (only 2ohm) is really generating a lot more energy when mating with the "low" input of the Zanden 1200 phono mk3. The compliance issue is not too applicable to this cartrdige. The compliance is 10 versus 15 of your EMT. It will match well with the Da Vinci arm. It is what I am doing now. 植師父set it up on the Durand yesterday. He was amazed too. And the Cessaro Chopin under the spell of Zanden electronics has seemingly become a much bigger system. I bought one after hearing it in Master Chik's system....full of energy but not overwhelmingly thick in sounding. 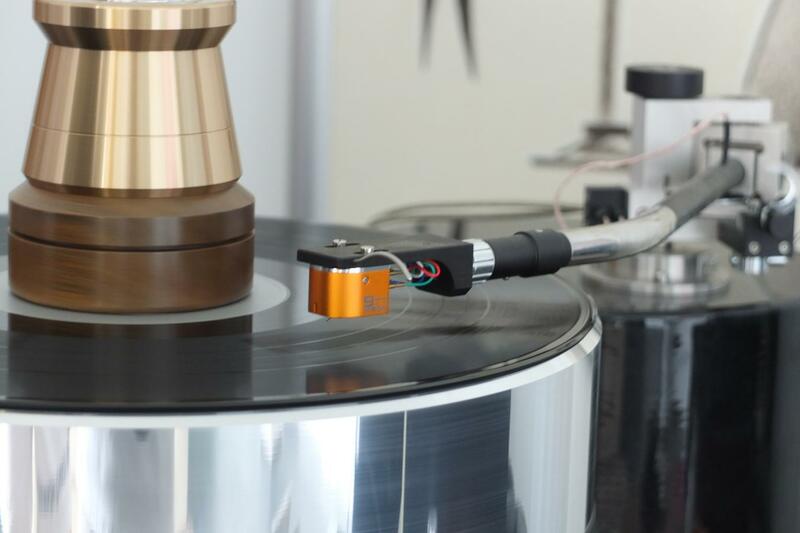 Dynamic headroom coupled with the Durand Telea 2 tonearm is also one of the widest that I have ever heard. Originally I was planning to use an EMT JSD-6 Gold cartridge for my Virtu arm, after cross checking with PT and Master Chik on their views, I have decided to turn to the Ikeda camp, it is not a difficult decision after the audition. Will report more when it is installed tomorrow to pair with the Trinity phono. 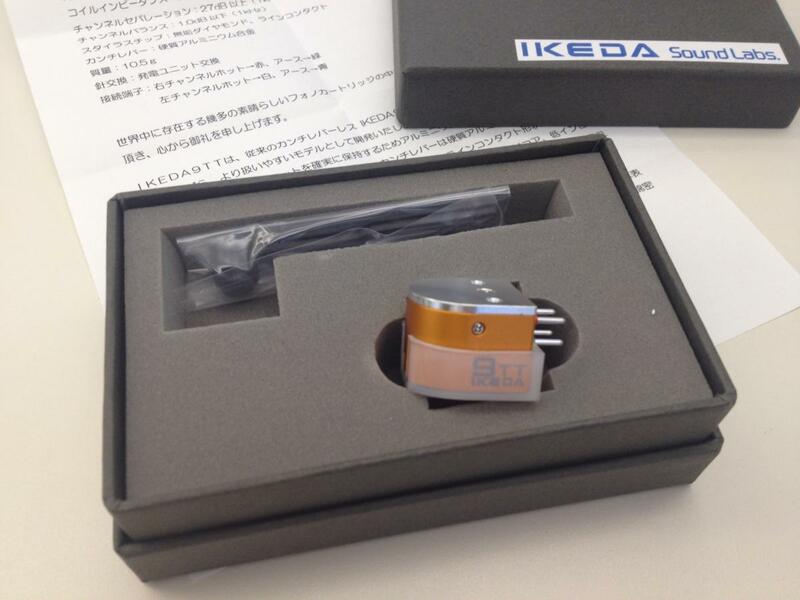 How's the mating of Ikeda 9TT with Virtu arm? 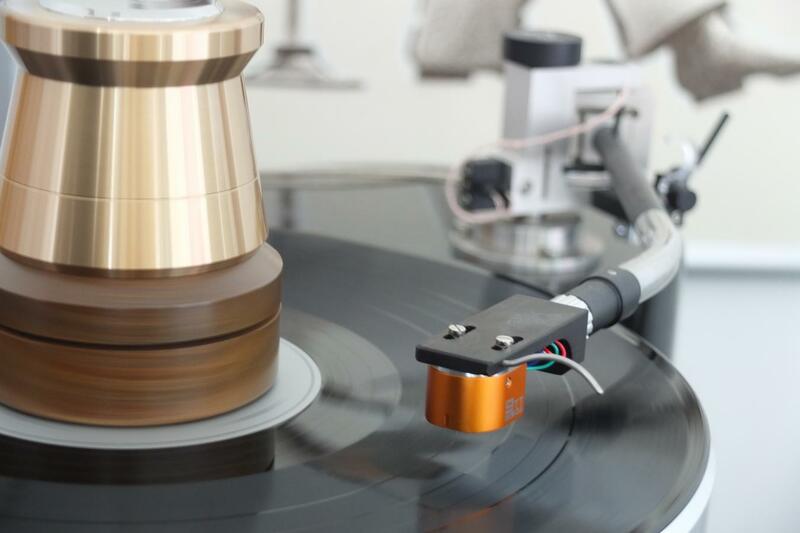 Spec-wise, it matches very well with Virtu tonearm. The combo delivers a very stable and coherent soundstage. Master Chik tested several impedance settings in the Trinity phono until we reached an optimal one where I feel the music is very relaxed without a tight feeling and yet the focus and scale are naturally presented. Ikeda mounted on the Gabriel and Virtu has an explosive character that exceeds my expectation in terms of the speed and energy of the surge in transient. The control of the rhythm is absolutely lying on the hands of the performers but not as a form of coloration by the gears along this source path from cartridge to the phono stage...I feel that the whole path has become an 'expressway' and music riding on it would have its own choice of speed only determined by the 'driver'. It would not be prudent to judge this cartridge by the price of it. To me, it has a very high price performance ratio and it is a genuine master piece which should not be measured by the price. Marveo bro, have you played some really nicely recorded symphonic scores with the Ikeda 9TT? The presence of the soundfield is amazing. This cartridge has excellent tracking ability even with the Grandezza arm. I can easily imagine the reinforced stability upon mounting it on the Virtu (sadly, I have not received it yet). Try to spin some Kogan and Heifetz. The 9TT fully demonstrates the tensile strength of these two legends like no others. The strength of the bow is executed with power, and the resultant energy is well conntroled. 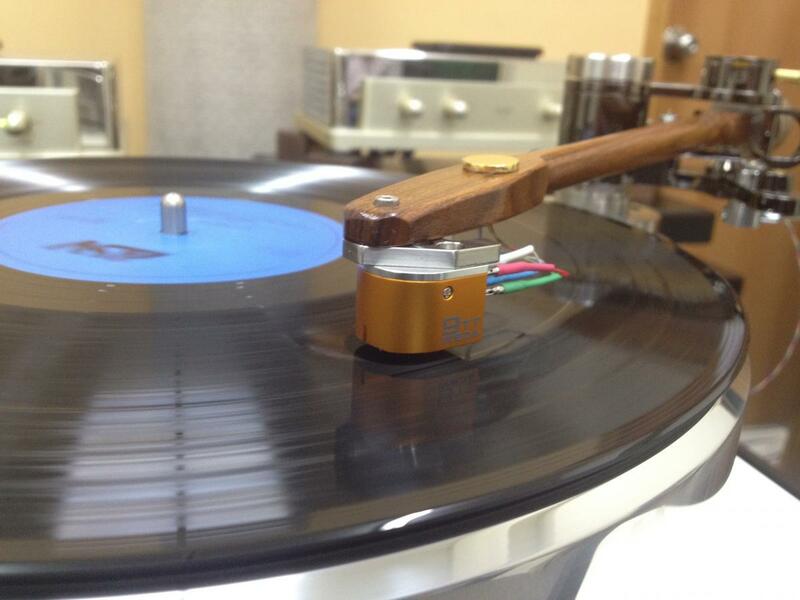 How do you like the Trinity phono? Cassph likes it very much. 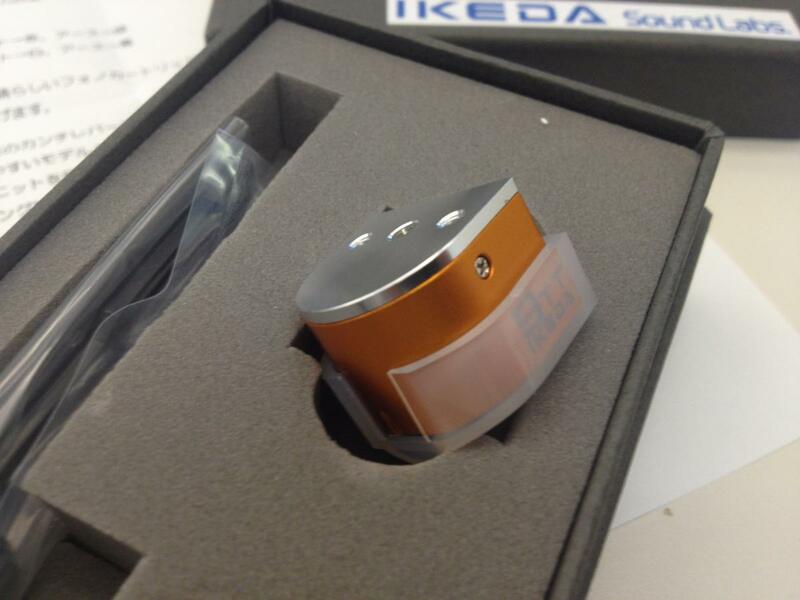 The soundstage perspective of Ikeda, to some extent, is easier to be recognised by playing records on symphonies. However, even for concertos and vocals that I played in the past 2 days, the dimensionality of the recording venue is much more apparent to me and I am also deeply impressed by the stability of the musical flow from start to end of the record. Much should be contributed by the tracking capability of the cartridge and the design of the Virtu arm. Noise platform depicted by Trinity is unheard of in my experience on using various phono pre: Wavac, Tron, EMT and Zanden. Only the phonostage in the Tidal Preos stays in my memory which can produce this quiet background. I am not sure if this is the fundamental strength of solid state electronics vs tube but the 'end result' of adopting Trinity phono in my signal path is phenomenal and again, I am deeply impressed not just by the ultimate resolution and transparency that I am enjoying, but importantly the live-like dynamic surging up and down igniting wildly my 'internal flare' on the music which I have heard many times in the past. Another shot both taken by Fuxx X10...not bad in quality at a price of a prosumer camera. I agree everything you wrote about the 9TT. I am sure the Trinity phono is a better match with the Ikeda than the Zanden for one single reason: 2 ohm maybe too low for the amplifier circuit of the Zanden to handle stably. Spin some Mahler under the baton of Berstein. The soundstage under the magic of the 9TT is rock solid. The mass string section is presented with a "filigree" type of layering. Bass instruments are delivered with abundant energy and clear contour. It seems the 9TT does not really need to burn in. Do you guys have similar feeling? voy, you are right, 2Ohm is on the low side for Zanden as it claims to work best within 4Ohm and above. Raymond, I am not a big fan of Mahler (at this moment) but I can appreciate what you said with regard to the soundstaging....I am not sure about the burning in bit but in my experience for the past few days when both Ikeda and Trinity are settling in, I can hear the sound is improving from a bit lean to have more weight and texture now. I think some burning in is happening in the path. The placement of the Dalby record weight has a more prominent improvement which I believe is because of the increased resolution and transparency. It is now crystal clear that I won't look further for the Product of the Year for this both asthetically and sonically perfect accessory! I suppose the Ikeda 9TT is fully burnt in now. Had you noticed the subtle change of it along the way? Remember to switch your Analog Domain amplifier to HIGH GAIN (input sensitivity) when listening to analog. Once you switch to High Gain, make sure when set low gain at the back of Vekian Opus dac. I finally understand what Angel means when the amp can damage the speakers. There is a maximum power handling of every speakers. With such extreme high end design (assume the room acoustics is right to a certain standard), there is a tendency for the volume to go up because of the ultra control capability of the amp, say, when you listen to a symphony. It can play very loud with the soundstage completely stable over a wide frequency range and tonality of different instrucment remain in place together with rich overtunes with the right decay. I was enjoying so much of Mahler. At the cresendo, I crank up the volume more. Everything is still in place, excellent! I was so exicited. I turn up more. Then the drivers of the speakers are overloaded. I hurried to turn it down. But only at such volume with heavy loading (music material), I can apprecaite the supremacy of Artemis over Calysto. Therefore, do not ever think your speakers can take whatever load. At low volume, yes it probably doesn't matter. At high volume, please be careful. At the level of Calysto and Artemis, the real differences are not at low volume but at the higher volume with difficult load. I mean the Vekian OPUS dac is better set at low gain (should be under 3V) and set the Input Sensitivity of AD amp to HIGH. By the way, Angel says the default is HIGH. If you listen to the low gain setting of AD amp for too long, you will probably get lost. That is the trap of "finesse" and your evaluation criteria always priortizes finesse over other parameters. That is wrong. There must be a balance between energy/control/finesse. If you have long set the gain of AD amp at low, I don't ever think we understand this crazy beast too much. I was discussing with PT about a bunch of audiophiles who always prefer a "laidback" setting. Anything that comes in the front row will automatically be labeled as forward. And that means no good. But if the stage is always laidback, there will never be front-to-back imaging. It only exists in the listner's imagination. Some instruments' energy must be forward, while some of them should be lesser depending on the location of them in the orchestra. How can a big horn sound laid back? I can also understand, if the room cannot handle the energy, one is forced to listen at lower gain. Then this has become the default in your mind set and become the evaluation standard. The bottomline is please pay utmost attention to the gain at each stage of your system. Woops! Uncle Ray, you have not spoken in such a way for quite awhile. I got the same feelings too about that "laidback" stereotyping amongst plenty of audiophiles in Tokyo. A simple visit to a jazz bar of any sort around the globe is adequate to illustrate energy in a live setting. The goal is not to replicate the real world in your home. There must be some references for a guidance, my 2 cents.